If you have a busy working life, trying to secure an appointment at your local GP surgery can be frustrating. You may have heard about the rise of online medical services and wondered whether this could improve your access to healthcare. It is estimated that around 70% of patient complaints in GP surgeries could be completed by an online consultation, which may relieve pressure on surgeries and improve waiting times. But what exactly is an online medical service? There are dozens of these providers which offer patients the chance to connect with qualified GPs over Skype or video call to seek medical advice from the comfort of their own homes. These medical practitioners can also prescribe medication so it may seem like a good option if you need to update a long-standing prescription, such as contraceptive medication. Online medical services can also be a very cost-effective option for patients in countries without free healthcare. Many of these providers charge a small fee per consultation but others charge patients depending on the duration of the consultation, which risks seeing the cost rise quite quickly if the diagnosis is complex. In the UK, the NHS works alongside online medical service Babylon to improve patient access to medical advice, with an annual charge of £50 per year for unlimited access to online GPs. Is an online consultation as reliable as a visit to your GP? When you visit your GP for a consultation, you know that they will have access to your entire patient record and see a detailed history of past conditions and medications you may previously have been prescribed. This can provide valuable insight into your condition and is vital to ensure that your GP is able to make an accurate diagnosis and prescribe medication that will be effective. Unfortunately, online medical services will not have access to this wealth of information, which can lead to an incorrect diagnosis. Not only is this dangerous as it leaves your condition untreated, it is also detrimental to your mental health as you are likely to suffer from anxiety, stress and even depression if your condition fails to improve or deteriorates. Also, it may also require further consultations to get to the bottom of the cause of your complaint, which will have a financial impact too. Visual clues such as body language can also be hugely important during the diagnosis of a condition, and these may not be clear when speaking to a GP over Skype. In many cases, the patient’s complaint is derived from an underlying issue. For example, a GP may be able to see evidence of jaundice that may not be evident during an online consultation. Another major concern held by many surrounds the prescription of antibiotics and opioid-based medication in particular. An expert from a renown medical negligence law firm explains that patients may previously have been prescribed an extended course of high-strength opioid painkillers, without the knowledge of the patient’s regular GP. This can place the patient’s long-term health at risk as their medical history may not be kept fully up to date and their regular GP may be unaware of recent doses of medication. This is particularly concerning if the patient is especially vulnerable as they may not be fully aware of effects of the medication that they have been prescribed or be able to inform their regular GP. Of course, online medical services are regularly reviewed by the UK’s healthcare quality regulator, the Care Quality Commission (CQC), but the results are not particularly impressive as almost half still fail to provide “safe” care for patients. However, it is encouraging that substantial progress has been made in recent years since previous inspections. 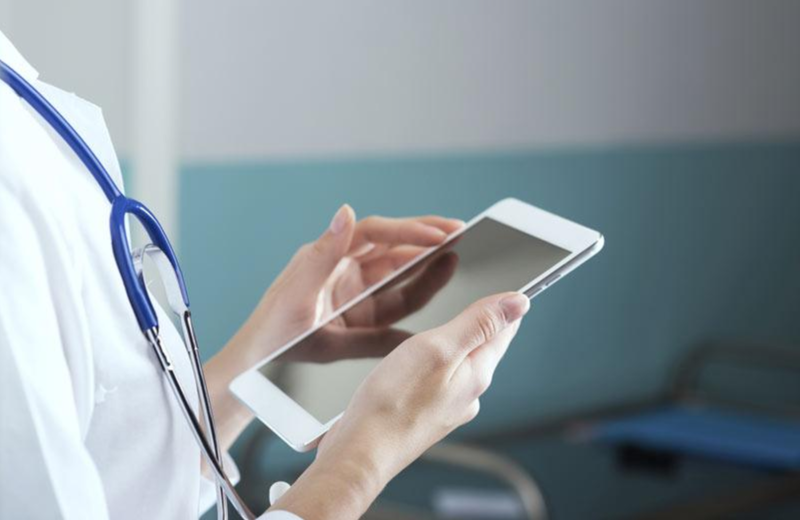 Although the increased access to medical advice that is offered by online medical services is a huge positive, substantial criticism and concerns remain over the reliability of receiving an online diagnosis and how patient safety may be at risk. For the time being, a physical consultation with your GP is the most effective step to treat your condition.